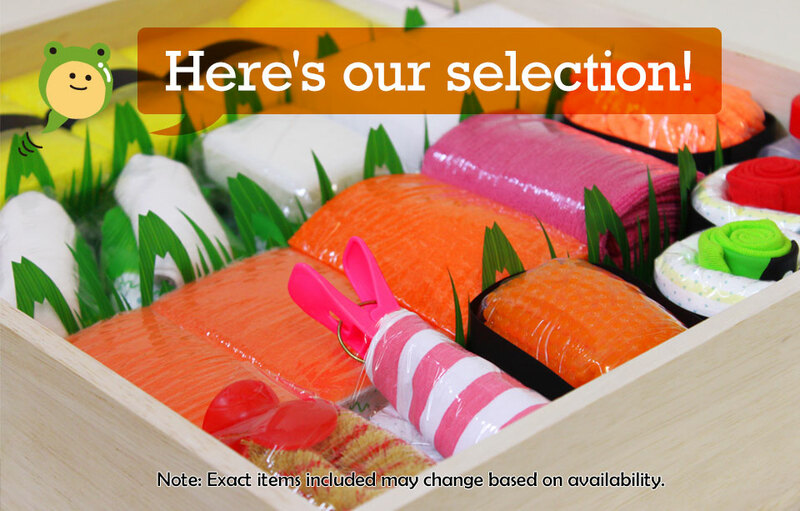 Diaper Sushi Store | Whether for a baby shower or as a congratulatory gift to a new mom, these fun sushi-themed packs full of diapers and other helpful gifts are sure to be a huge hit! 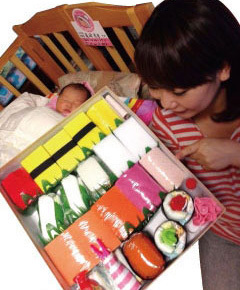 Diaper Sushi® is a sushi-themed gift set perfect forcelebrating a growing family's new addition. More uniqueand memorable than a diaper cake, it's sure to put a smileon a new mom's face! Surprise a new mom with an unforgettable gift! 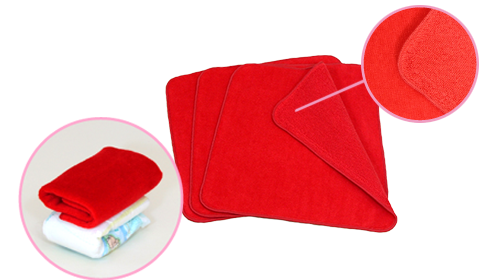 Imabari City, on the Inland Sea, is famous for its high-quality towel-handkerchiefs. They’re super-soft and gentle on the skin. 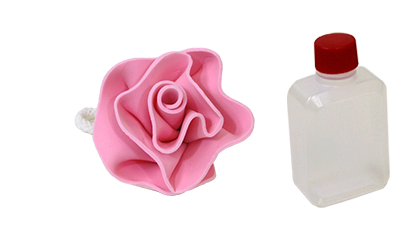 Best for kitchen utensils and dish-washing.Non-toxic.Natural materials; gentle for people and the environment. body towel! body towel!! body towel!!! Cleans stubborn dirt easily. Just moisten, rub, and you’re done! 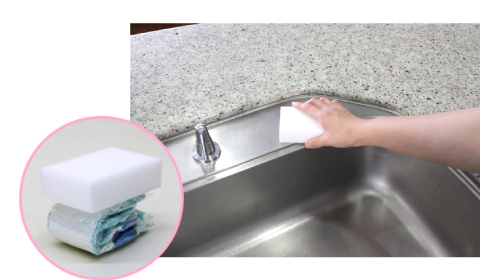 Great for sinks, cutting boards, anyplace! Please wash your dishes and shiny. Clean up anyplace. Absorbent. Dries quickly. Washable. 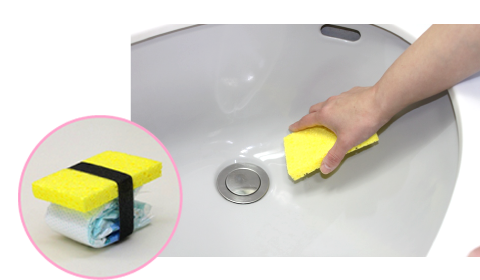 Mini scrub-brush for cleaning strainers, chopping boards, etc. Fish-eye lens-style bib. 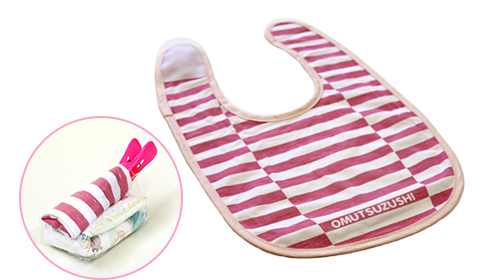 Great for babies — get lots! Keep your lunch and mother’s milk cool in the summer heat. First baby socks! Cute the baby's feet cute. It is secure and safe because it has a slip prevention. 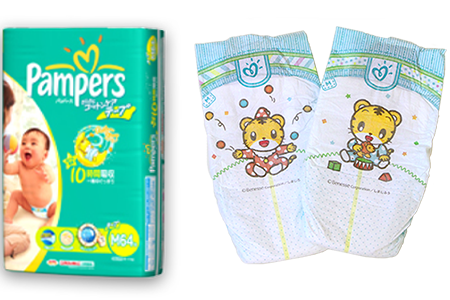 Our diapers are Pampers made in Japan, size M (for babies 6-11 kg), which is the most commonly used in maternity hospitals in Japan. “For our customers’ health and safety, we wear a mask and gloves while handling the diapers, and wrap each diaper individually in a OPP bag. WE SUPPORT MOMS AND DADS! 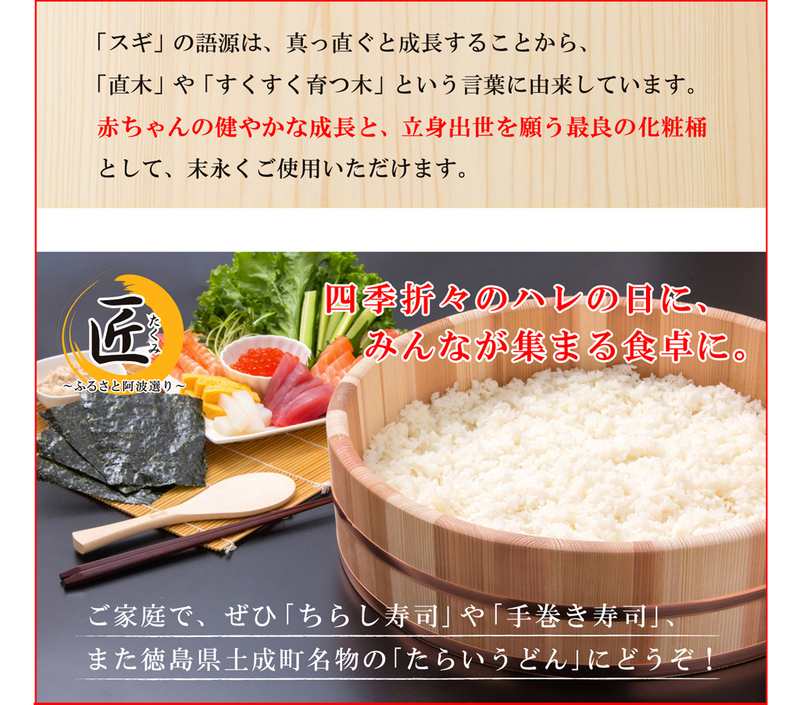 The Diaper Sushi Store uses the Reader Employment System, so each product is made with a parent’s care and concern for safety. The Reader Employment System employs moms and dads who are readers of WIRE MAMA. 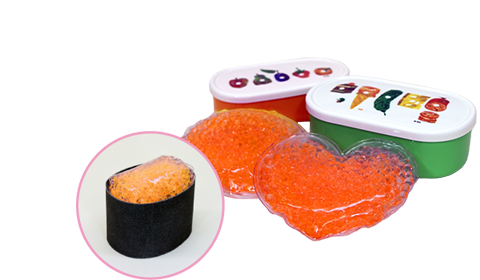 Those who pass a training course can become eligible to individually handcraft orders at home as Diaper Sushi chefs. This system is our way of showing our support to families raising children. We accept payments online via PayPal only. Deliveries are made using Express Mail Service (EMS), which allows online tracking. Your order will be delivered after receipt of payment. Shipments may be subject to delays in case of natural disasters, accidents, etc. The shipping cost is set by EMS for each region, and is based on the total weight after packaging including packing materials. For a while, I will challenge with the postage included price. Please confirm before ordering whether shipment of the purchased goods is allowed into the destination country. We are not responsible for any problems that may occur from importing forbidden articles. 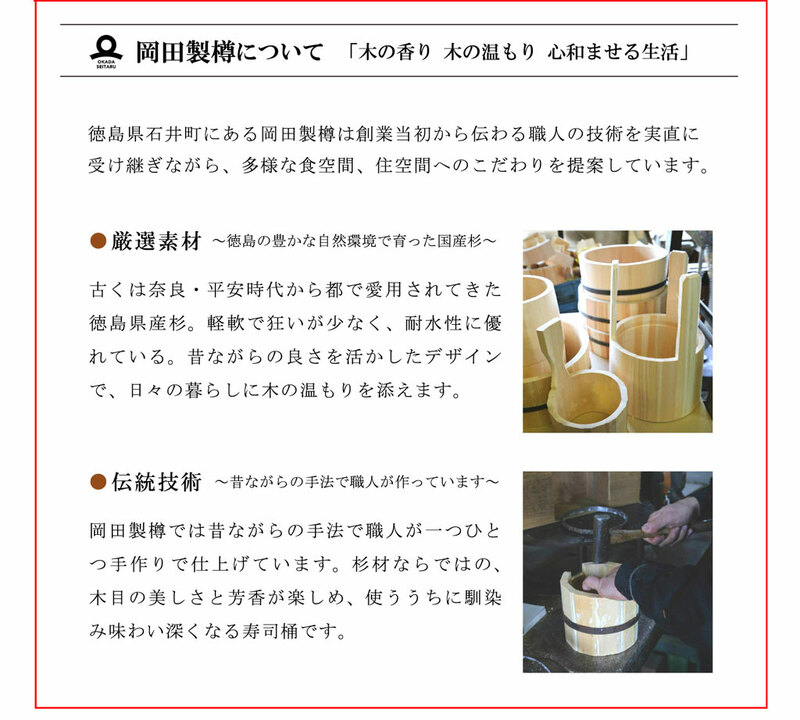 Please also note that the packaging shape may become distorted during international shipping. 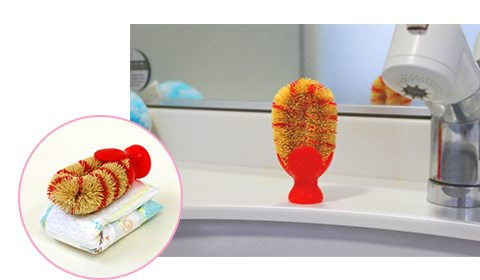 When I presented the gift set to a friend who had just had a baby, she was blown away by the appearance, but later she also told me how thrilled she was that the sponges were so safe and environmentally-friendly! 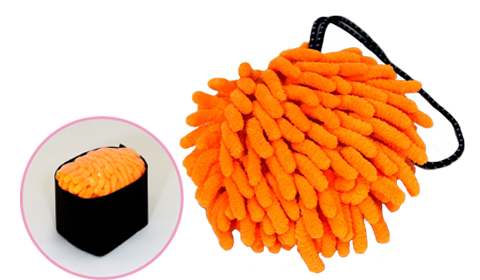 You can never have too many sponges, you know!! I’ve purchased 3 sets, and they’ve all gotten rave reviews! 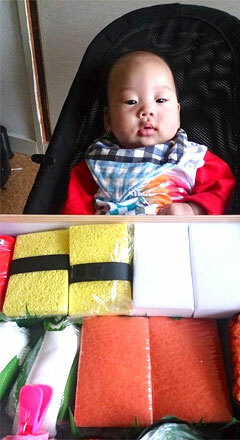 Everyone seems to be sending diaper cakes, and I’m the only sushi, haha. I think the unexpectedness of it makes a big impact. Even the grandparents loved them! 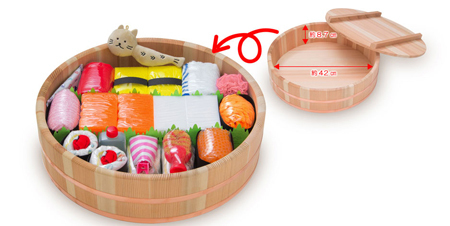 I thought this would be perfect for my American friend who loves sushi, and I was right. 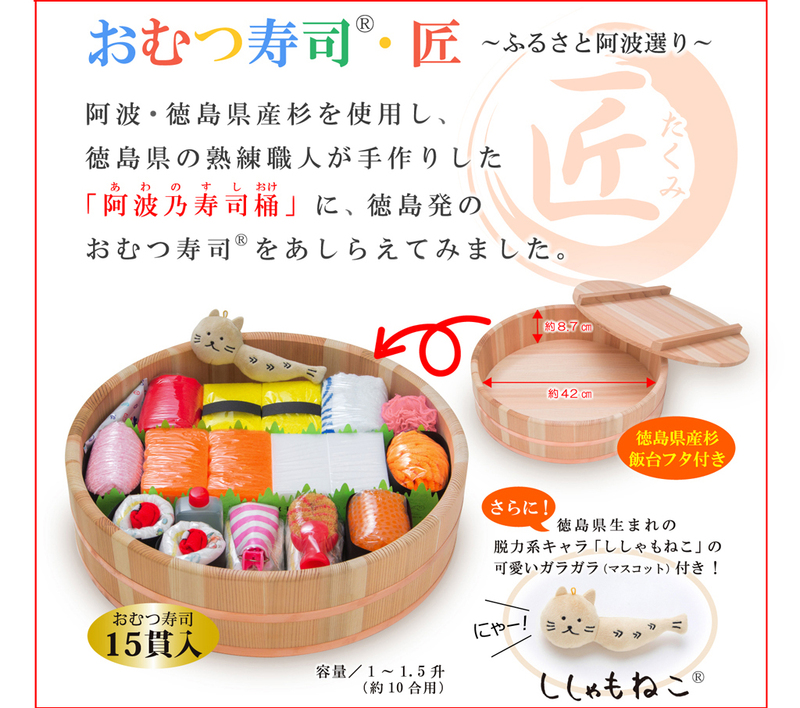 The gift box was very authentic, and the amount of detail put into the “”sushi”" made each one really fun to look at. Thank you for creating such a fine product! I saw this on TV and immediately fell in love! It was such a big hit that there was a 3 month wait, but I knew on the spot that I had to send one to my best friend’s daughter. Even in the middle of all her worries raising her first child, the Diaper Sushi gave her a huge laugh! And of course her mother and I were laughing, too. Thank you for giving us so many smiles with this beautiful gift! The family I sent the Diaper Sushi to already had 2 children in addition to the new baby, and they also really loved the gift. When I received a thank-you call, I could hear voices yelling “”It’s shrimp! It’s egg!”" in the background, haha. Everyone said they’d never seen anything like it before. Their overjoyed and surprised reactions made me so glad I chose Diaper Sushi. I’ll definitely be back the next time one of my friends has a baby. © Copyright 2001-2018AWAWA. All Rights Reserved.